Today I came home to a great surprise. 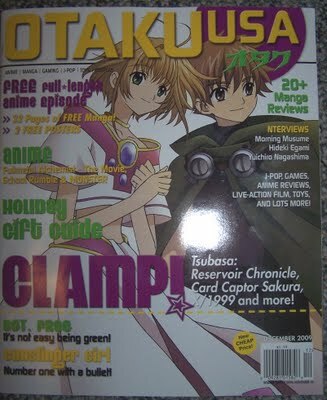 Got a free copy of the December 2009 issue of Otaku USA Magazine. Why did I get a free copy? 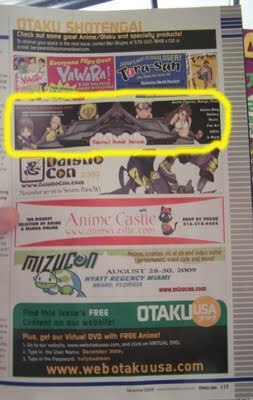 Well, that's because you'll find us in the magazine ^_^. 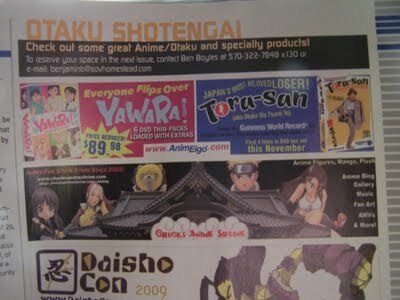 Ok well, not exactly a story on us (yet), but on page 117 you will see a banner for this site and the store. Very exciting and this issue of Otaku USA has lots of good stuff, particularly about Clamp (duh) and all the series Clamp is responsible for like the recent Tsubasa: Reservoir Chronicle and who can't forget Card Captor Sakura and Chobits? Just browsing through I saw a very cool article too on the beginnings of anime with stuff that would make Gigantor look new. I read the business week article and replied to a particularly dumb comment someone made on it. I think it's incredible that someone so young such as yourself already has a good business going and with great customer service to boot. They say that a man's reputation is worth more than gold, and by that token your business is certainly worth 10x more than gold. No problem. It's justified because I've conducted business with you in the past and know my experience has been very positive. A lot more so than being forced to call a long number, press a series of numbers to finally try to get a hold of a service rep, then be put on hold for an hour. I like your ideas about business and breaking the mold of society through self-branding and self-employed opportunities. I think it's great that you've had the guts, charisma, and determination to pull it off. I'm sure it required all three and then some. I wish you luck in your rapidly growing business and hope to buy from you in the future. 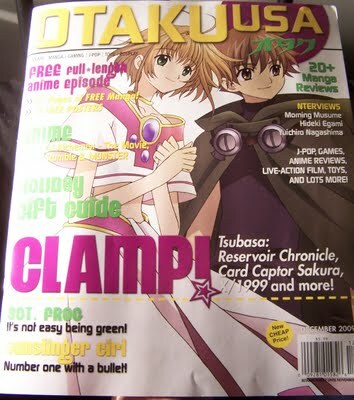 And perhaps even cover a video game section for your store/site, since I'm an avid gamer/writer/editor. That might be a discussion for another time, but it's something to think about if you ever want to expand in that direction. I was just curious if you were ever going to expand this site to cover video games and if you would need help doing so. It's Official, Pirated Anime MAKES the Industry Money!